Did you ever have one of those winters when you catch every bug that's going around? That's me this year; nothing serious, just enough to keep me away from my craft studio too long! 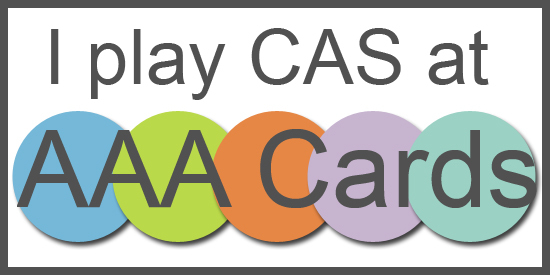 So I'm playing catch-up with some of the latest CAS challenges I wanted to join. Today I'm playing along with the monochrome challenge over at Less is More and the Ombre game at AAA Cards. This time I made a square card. 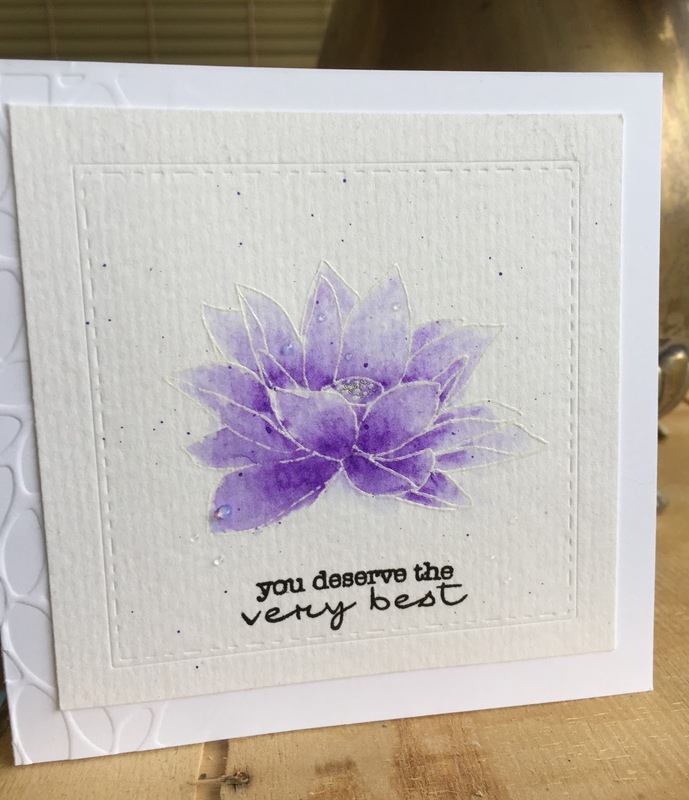 I started with a 3.75" x 3.75" square of 300 series watercolor paper and stamped the lotus image with versamark. Then I heat embossed with white embossing powder before watercoloring with shimmer paints. I embossed the edge with a generic square frame and added a few clear Nuvo drops to the petals. Then I held my breath and put a few spatters of the same purple watercolor paint around the flower. 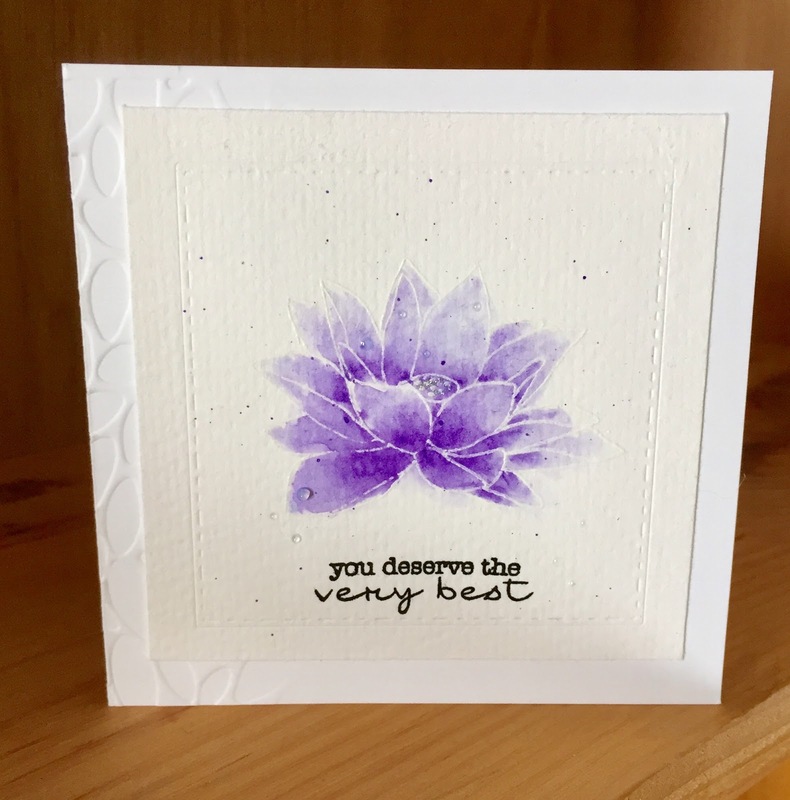 I mounted the watercolor on a 4.25" x 4.25" card of Neenah solar white that had been partially embossed using an embossing folder from Stampin' Up. The sentiment is from My Favorite Things Delicate Pretty Poppies set, which I'm afraid is no longer offered. 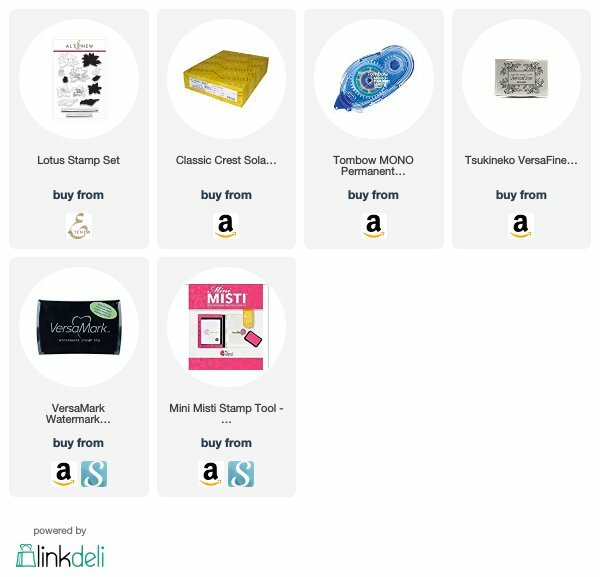 I stamped that in Versafine Onyx to get the best detail. Beautiful purple ombré, fab card. Thanks for playing at AAA Cards. Love this, AND it's in my favea colour! Wonderful colouring of that beautiful flower. The addition of those clear drops looks fabulous.